The Two French Messieurs hailing from Paris, a city drenched in history and fresh dreams, have arrived in Cape Town. Vincent John and Rafael have taken swirls of their artistic visions and created exactly what this city has been waiting for in the space that used to be called Rafiki’s. 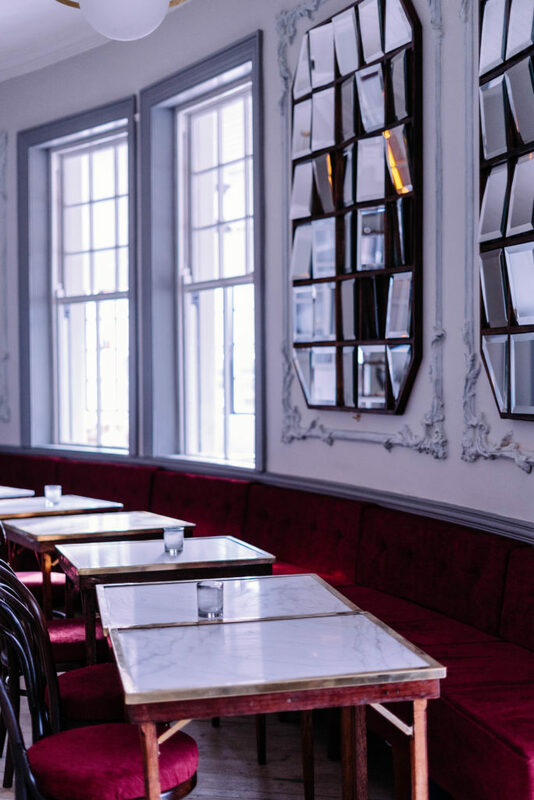 The style of the restaurant was designed to mix traditional elements of a French bistro, combined with an unanticipated flair, and reinterpreting the characteristics of bistro with a modern twist. Deep-red booth seating surrounded by grand swivelling mirrors, look for the portal that takes you through to the secret room, for those special occasions. A similar animated approach was used in crafting the menu, taking essential components of French cuisine, with the intention of enhancing them by combining unexpected flavours. We have an open kitchen and big personality amongst our staff; there will be a buzz in the restaurant, a bustling energy similar to what one might find on the curb of a French café. We have put as much effort in the menu as we have in the design of the space, redefining what the word bistro means in modern age. Find the alternative entrance to our multifaceted bar. 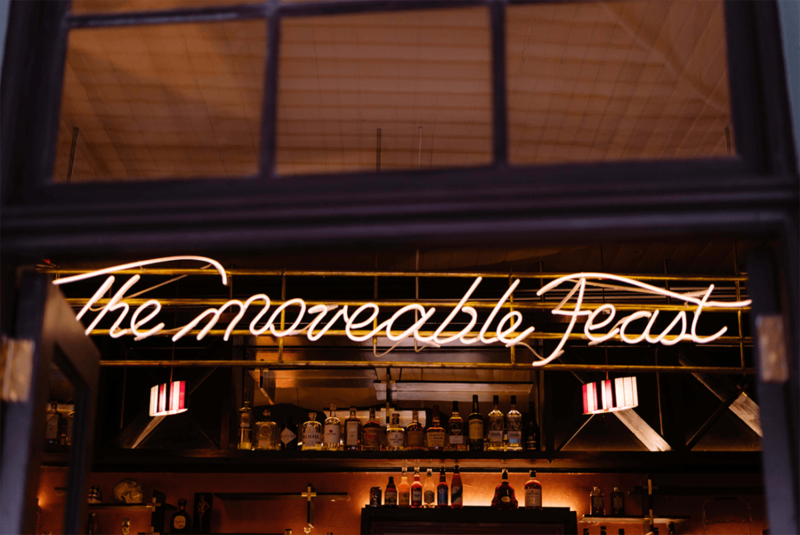 Here you can settle into a mellow café by day serving a lighter menu of Croque Madame and Crêpes, and later see bright neon rods lighting up the stage, the home of our piano, as we travel into the night to welcome the mood of our bar. We welcome you, your offbeat humour, and inhibition to share with us as you would at your best friend’s dinner party. We hope to see you in the new life of a space that was so familiar to us – a new body, an old soul.